In addition to presenting educational materials and other data, these displays let you write directly onto the screen. 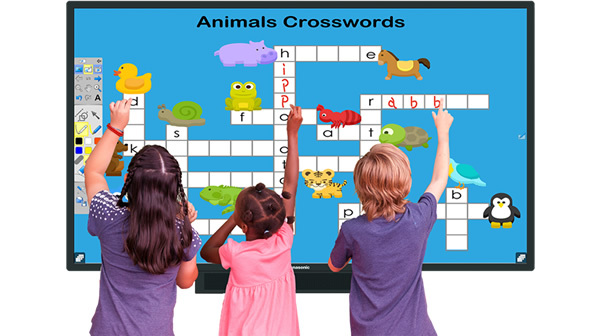 Their touch-screen LCD energizes interactive classroom lessons and meetings. Using the touch-panel function, they can also be used as signage for applications like product presentations and floor guidance. In addition to presenting educational materials, these displays can be used as whiteboards* to improve student understanding. Several students can write on them simultaneously, for active classroom participation. Simply insert a cable or USB media for connection. The display is ready for use as soon as you turn on the power, without the need for preparation. * A computer installed with Whiteboard Software (available free of charge) is required. A large, 65-inch size that is easy to see in classrooms and conference rooms, and an even larger, 75-inch size are available. Select the one that matches the room size. 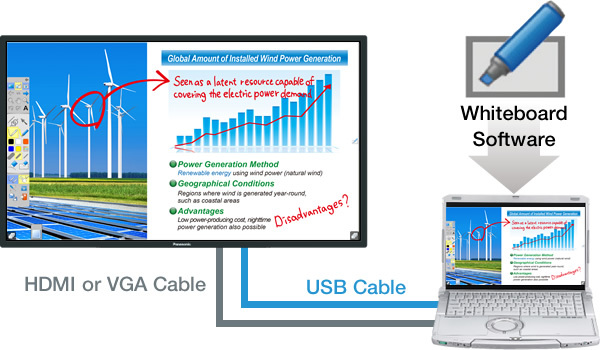 The large-screen display makes educational materials and data easy to see. The BQE1/BFE1 Series displays easily visible images at a bright 400 cd/m². An anti-glare (AG) process further increases visibility by suppressing external light reflections. 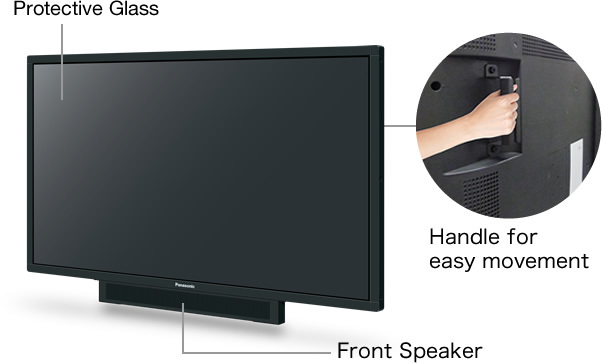 Terminals for PC and HDMI input support highly detailed 4K/Full-HD images of lesson materials and other data, and content from USB media can also be displayed. Even complicated drawings and small text are clear and legible as well. 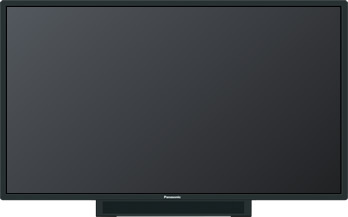 The TH-75BQE1 supports 4K resolution for even easier-to-read information on its large, 75-inch screen. The BQE1 and BFE1 Series features a protective glass with shatterproof film. Even if the panel is broken, the glass will not shatter, making it safe for permanent classroom use. The easy-to-hear front speaker (external/included) also supports understandable lessons and meetings. Ideal for use as floor maps and signage to describe products in a showroom. 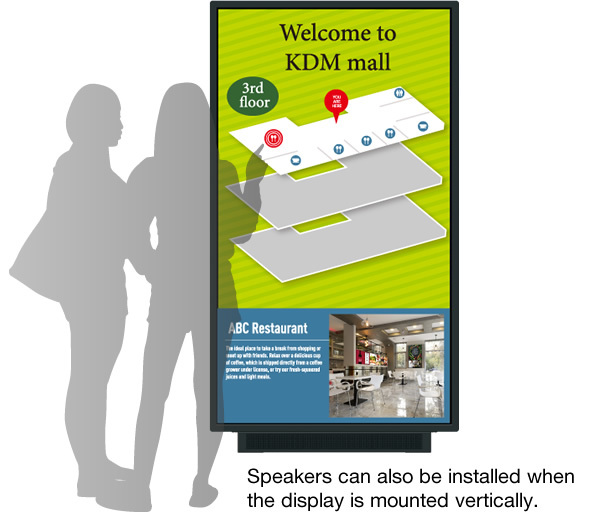 The display can also be mounted vertically to match the content, and external front speakers allow images to be displayed for audio equipped guidance. 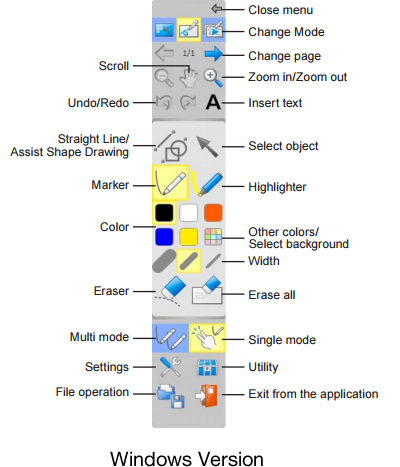 This software lets you use the display as a whiteboard. After displaying educational materials onto the whiteboard, you can write notes onto them to make lessons easier to understand. * Some functions are not supported on the Mac version.